Medical care providers know all too well that they must collect as much of the fees for their services they can in order to maintain their practice and be able to continue providing high quality care. 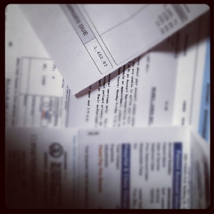 However, the collection of fees may be the most difficult part of the practice. Patient satisfaction surveys show a direct relationship between overall patient satisfaction and the medical billing services of the medical care provider. • Up-front verification of insurance eligibility. • Provision of an estimation of the patient out-of-pocket costs prior to the provision of services. • Straight-forward, transparent and easy to understand billing statements. Two-thirds of the patients surveyed said that satisfaction with the medical billing services affected their assessment of the quality of the health care provided. Those who were unhappy with the billing process ranked their overall health care experience as unsatisfactory. The survey also showed that patients who have a negative medical billing services experience resist obtaining medical services from any provider, not just the ones they are unhappy with. They put off routine screenings, such as mammograms, and general physical exams. Patient satisfaction with the billing process increases not only the collection process for services rendered, but impact whether or not a patient will return for future services. • Having a designated professional manage calls from patients who are disgruntled with their bills. The person should be prompt in returning calls if unavailable when the call comes in. Patient questions should be thoroughly and politely answered in detail. The professional should not hang up until the questions have been satisfactory answered. • Medical professionals who outsource their medical billing services to experienced billing companies find their patients are more satisfied with the process than those who do not. Professional medical billers know the right codes and know how to maximize reimbursement from insurers which assists patients in reducing their out-of-pocket expenses. The bills sent to patients are clear and concise, which is what patient responses to surveys confirm patients want.